Welcome to the OSAT Fall Blog Hop! Thanks for checking me out, and please continue on with the hop by clicking Next at the bottom of this post to see Martie’s amazing projects! I made a colorful Thankful card and and a cute pocket to hold it and a gift card using mainly leftover Paper Pumpkin pieces. I used post it notes to create a clear border around the card before I stamped in versa mark and the Lighthearted Leaves stamps. After heat embossing in clear powder, I used sponges to create a color background, and a bit of linen thread to draw it all together! This fun pocket is from the Love You A Lot paper pumpkin (link at the bottom of this post). The stamp set I sued for the gold embossing is all from this past month’s September Paper Pumpkin. Some cute right?!? Here’s the fun project all together! The Supply List is at the bottom of this post. Click Next to continue on the hop! 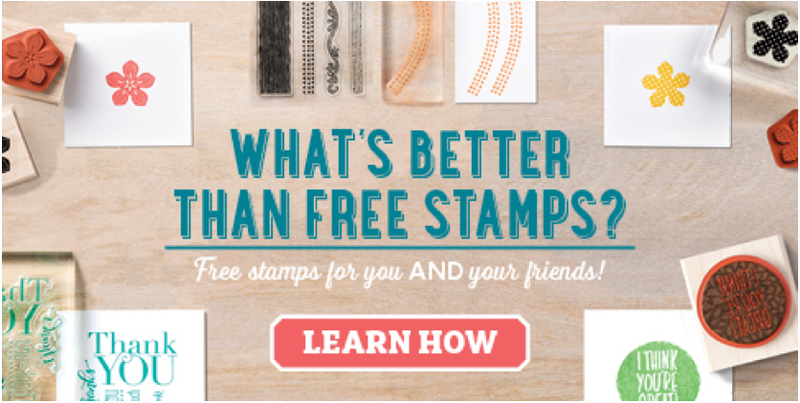 Don’t forget that you can sign up for my online or in-person Stamp Clubs and Technique Clubs by clicking on the pages above to find out more information! 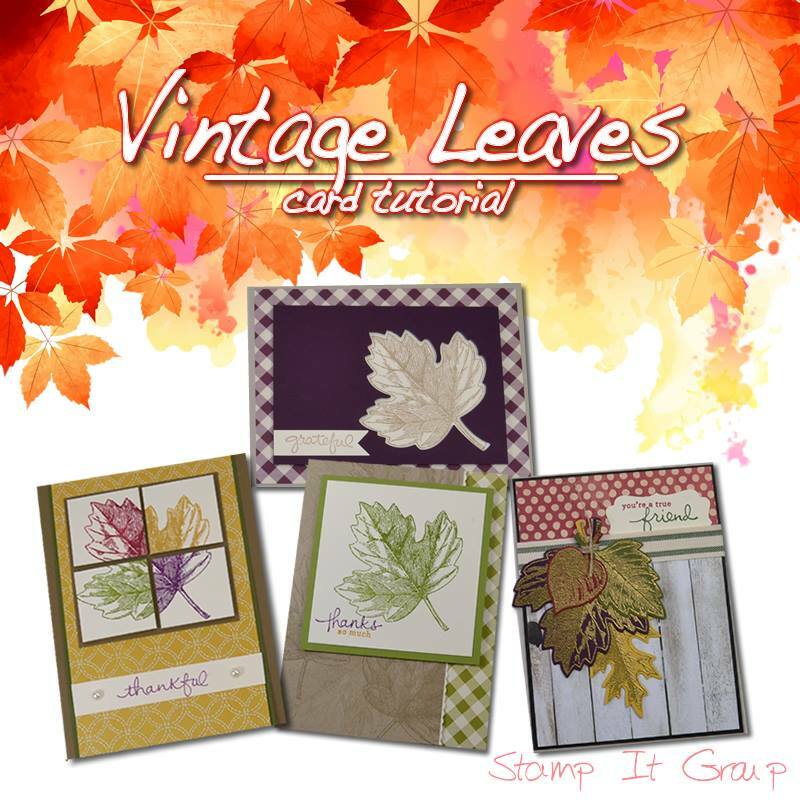 You can check out my new YouTube Channel, Etsy shop, and order the supplies I used from my Stampin’ Up! website . Order a Product Share so that you can have a bit of everything for a fraction of the cost! I’m now accepting orders for the 2015-2016 Paper Swatches! Do you want it all with a discount! Then Join My Team! I’ll help you save as a hobby demonstrator or give you pointers on growing your new business! Join my Stamp or Technique Clubs! 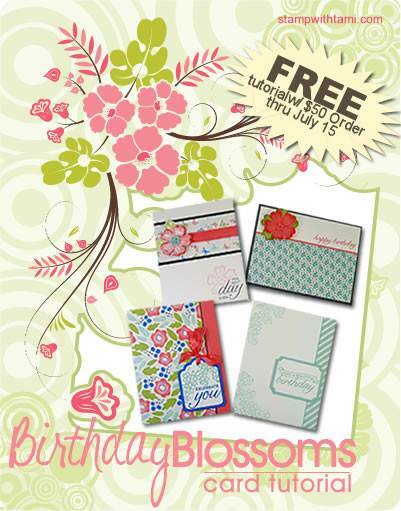 Earn free stamps, and get lots of instruction and inspiration! Check the above pages for more details! Beautiful project! Love the gold embossing on the crumb cake cardstock…sooo rich looking. Wow! Really gorgeous! I love the emboss resist on your card and that gold embossing on your pocket and tag is sooo beautiful! Love all the embossed gold, very pretty fall colors too! Love the color combos you used! I’m going to have to try something similar with the PP stamps! 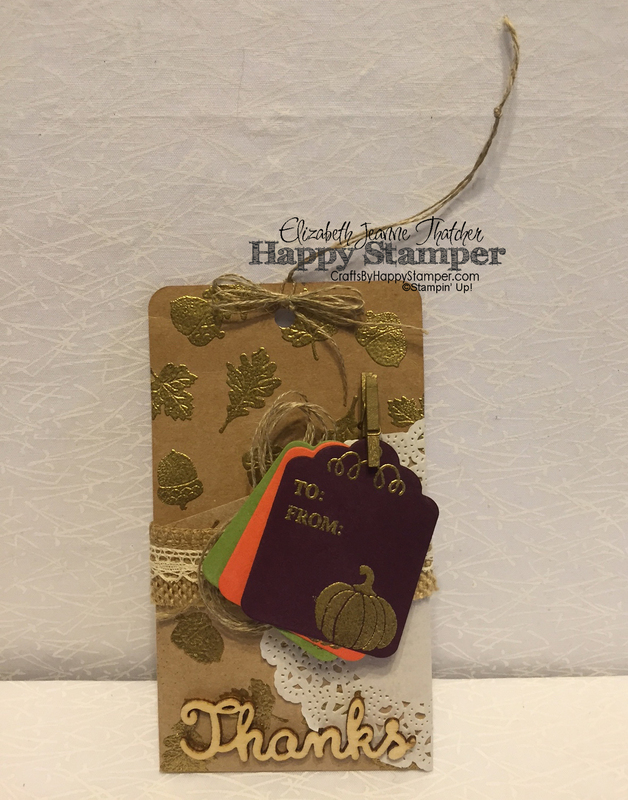 Love all of the embossing and the beautiful colors you used! Great projects and I love how you used leftovers from Paper Pumpkin. My favorite part is the gold embossing. Love your use of the PP set this month. Your projects are beautiful and very creative. Love the colors in these projects! Wonderful project ~ I love the colors! Very cute! Love the sponging and the embossing! So pretty and so colorful! You always have something beautiful to share! Sorry I’m late getting here! Oh Elizabeth, you have truly inspired me with your projects. I do a lot of custom items and often have a lot of paper left over. I know exactly what I’m going to do with the scraps!!! Book markers like yours. Great hop!